Well, it is Christmas time even if it doesn't really seem like it around Suave HQ. Usually I'm fully into the Christmas spirit by this time of the season, but this year just hasn't done it for me. 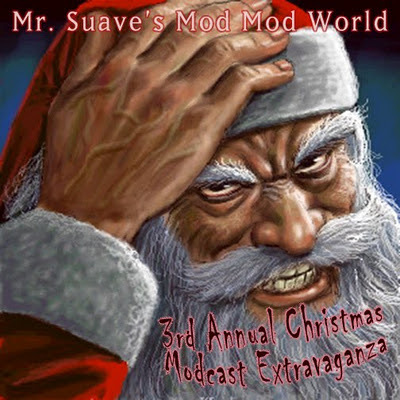 As will be evidenced by the somewhat ho-ho-humbug attitude of this year's annual Christmas modcast extravaganza. Back to share his despair is Ken from The Shingles. 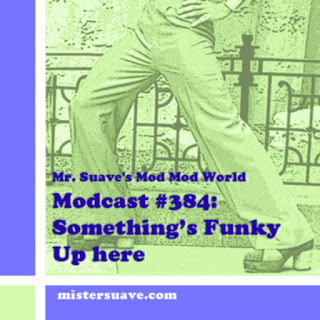 I issued a challenge for him to find better Christmas tracks than I could in several categories including power pop, soul, exotica, jazz and so on. The resulting picks make for a very eclectic show. Hopefully that will be enjoyable for an after dinner moment of relaxation. While you're relaxing you might want to enjoy one of our Christmas cocktails. Mine is the Christmas cooler whille Ken favored a hotter drink. Add to ice in a hi-ball glass, top it off with 7-Up. Enjoy the drinks. Enjoy the show. I'll be back next year with a look back at the best albums of 2011.